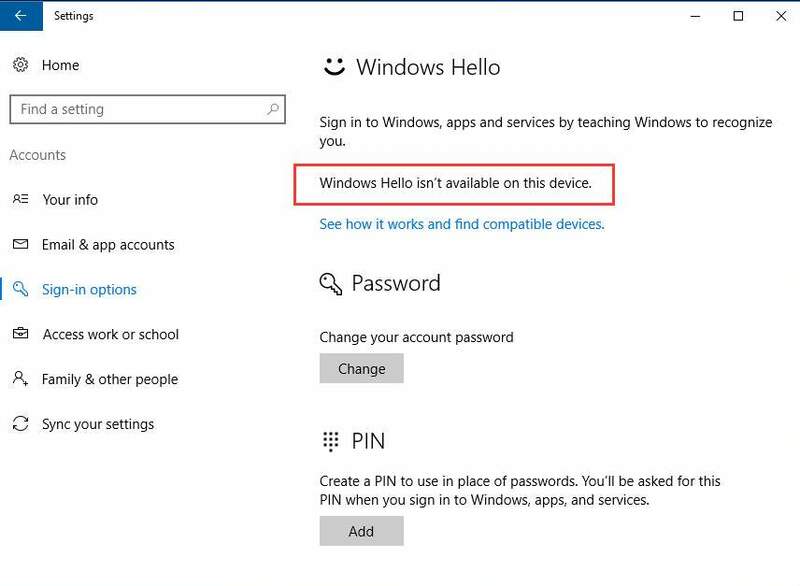 If you’re having “Windows Hello isn’t available on this device.” in your Settings windows, you’re not alone. 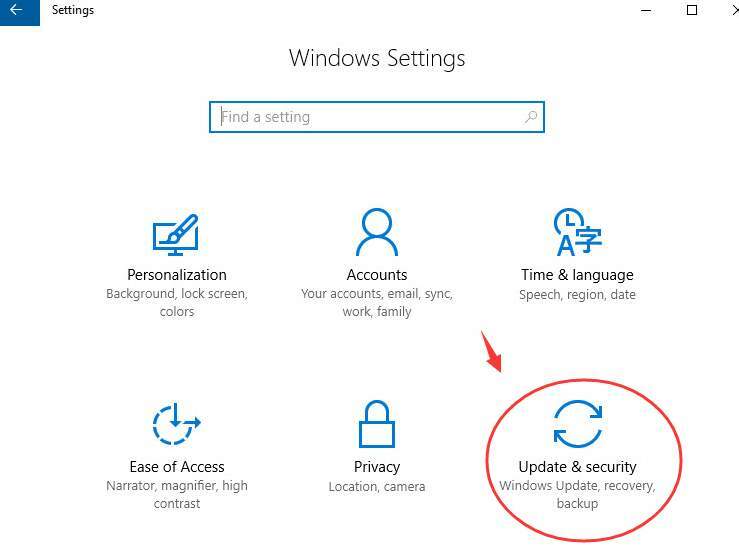 Many Windows 10 users are reporting this problem as well. No worries, it’s possible to fix. Here is the 3-step fixes for you to fix your problem. Windows Hello allows you to login into your system by recognizing your fingerprint or your face or your iris (like Surface) rather than using a pin code or a password, provided that you have a webcam and a finger scanner that work. With Windows 10 Anniversary Update, this feature has extended to apps and websites, which include banking apps and other sensitive apps. 2) Click the Check for updates button. Install available updates found. When you finish, move on to the second step. 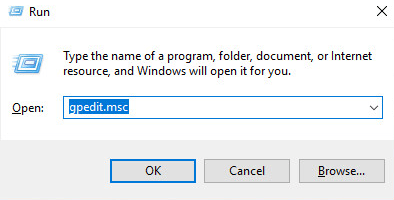 1) On your keyboard, press the Windows logo key and R at the same time, then type gpedit.msc and press Enter. 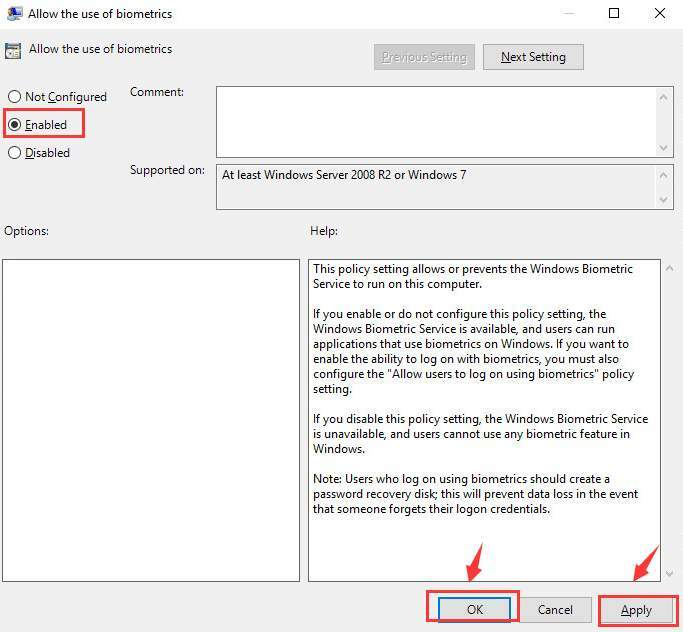 2) Follow the path: Computer Configuration > Administrative Templates > Windows Components. 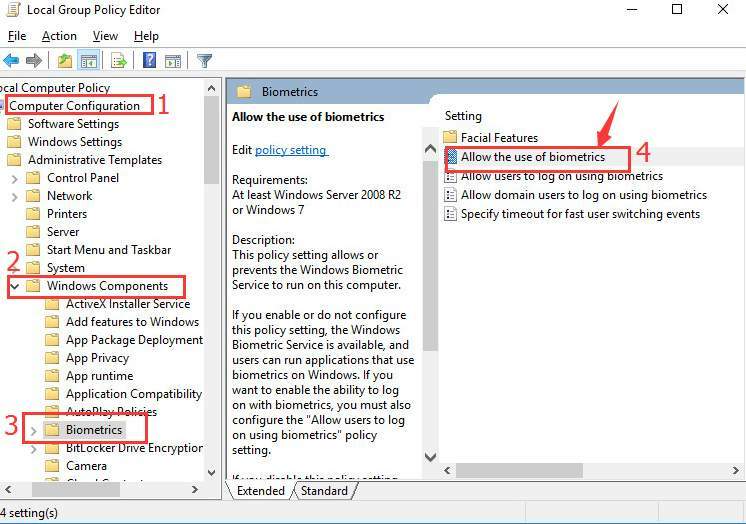 On the right side of the pane, double-click Allow the use of biometrics. 3) Click Enabled. Then click Apply and OK to save the change. 4) Reboot your computer and then move on to the next step. If your fingerprint device driver is outdated or faulty, you’ll find the hardware impossible to use. You can update the device driver to fix it. 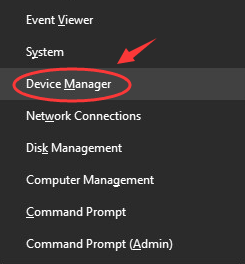 1) On your keyboard, press the Windows logo key and X at the same time, and click Device Manager. 2) Click the icon for Scan for hardware changes on the top bar. 3) Expand Biometric devices. 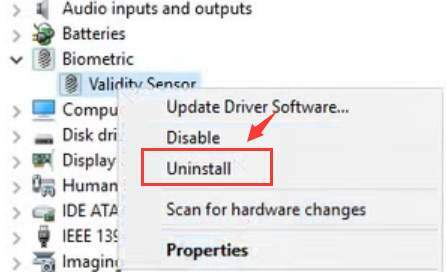 Right-click the fingerprint sensor device that you have and click Uninstall. 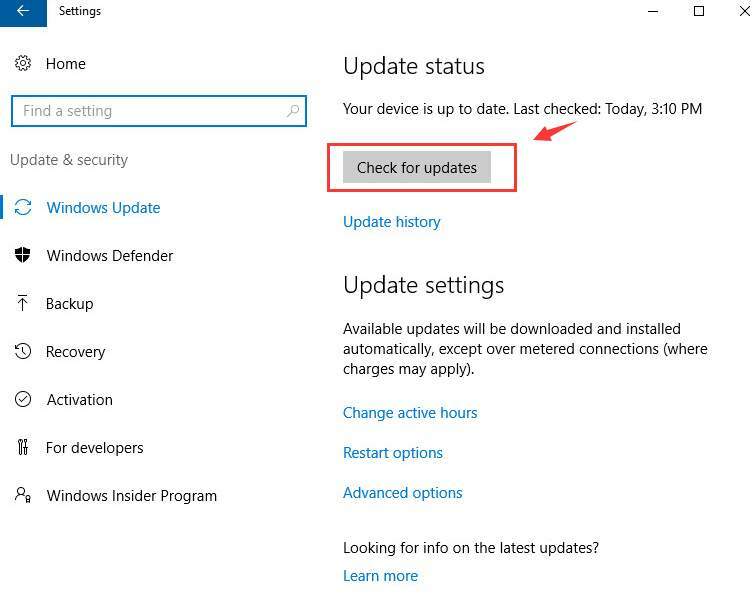 4) You can choose to reboot your computer for Windows to help you locate the driver that it could find for your device. 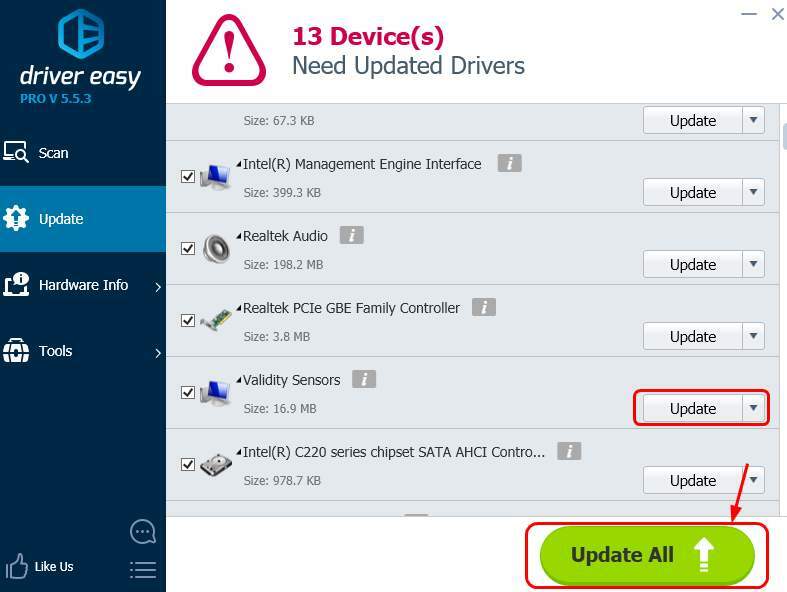 Or, as an alternative, you can choose to update the driver by yourself. 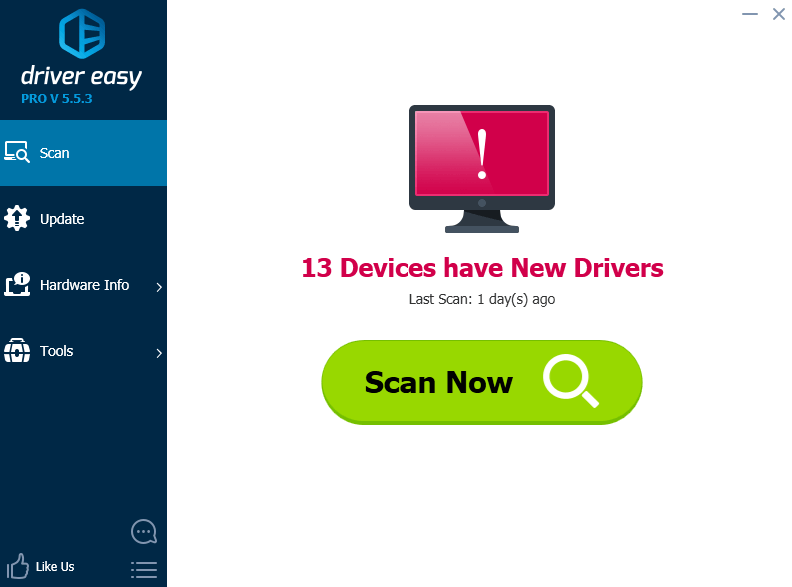 3) Click the Update button next to the flagged fingerprint device to automatically download and install the correct version of this driver (you can do this with the FREE version).